On 28 January 2013, a group of 15 banks including HSBC signed an agreement to offer loans to Shenzhen’s new Qianhai enterprise zone, opening the door for offshore participation in China’s domestic lending market for the first time since 1949. Since then, Qianhai, formally known as the Qianhai Shenzhen-Hong Kong Modern Service Industries Cooperation Zone, has accelerated its development. By this August when Qianhai celebrated its four year anniversary, the cross-border RMB lending to the zone has amounted to about 44 billion yuan and more than 11,000 companies have registered in the zone. While the launch of cross-border RMB lending marks a key milestone on the road to full internationalisation of the Chinese currency, Qianhai’s role is more than this. It is an experiment that aims to strengthen the economic ties between Hong Kong and Guangdong. Thirty-odd years ago, we found mutual benefit in the “Front Shop, Back Factory” model: Hong Kong developed into one of the world’s leading financial centres, while Guangdong became an industrial powerhouse and China’s most economically productive province. As with so much of China’s economic transformation over the past 35 years, Guangdong is leading the move up the industrial value chain. Being one of the most service-oriented economies in the world, Hong Kong has just the right tools to help Guangdong tune its growth engine. We believe Qianhai has been tasked with pioneering the opening-up of the country’s service sector and is the next stage in the evolution of Hong Kong-Guangdong economic collaboration. And HSBC is in a privileged position to tap the opportunities in Qianhai and the next wave of collaboration between Guangdong and Hong Kong. As an international bank with largest network in mainland China, HSBC is also a champion of RMB internationalisation with RMB trade capability in more than 50 countries and territories across six continents. Shenzhen ZCT Insurance Brokers CO., Ltd founded in Sep, 2013, it is a wholly owned subsidiary of Qunar. 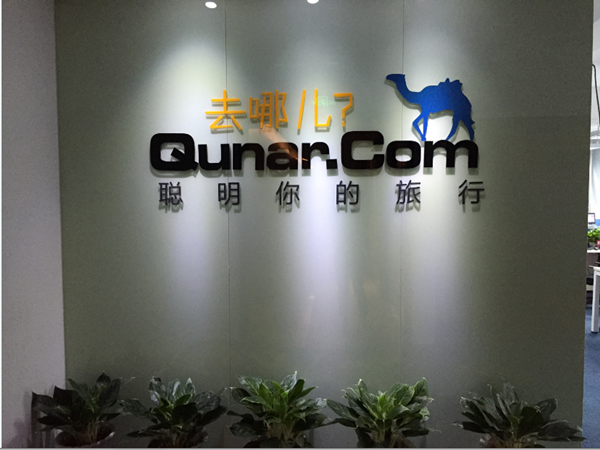 Qunar founded in May 2005, is the leading search-based commerce platform for the travel industry in China and the world’s most popular Chinese travel platform. Qunar provides all users with a one-stop travel information source on both PC and mobile devices. Qunar offers real-time searches on flights, hotels, packages, group-buying deals and other travel information to consumers, as well as Internet and mobile technology solutions to travel industry players. According to research firm iResearch, Qunar is No.1 among all non-state-owned online travel companies in China in terms of monthly unique visitors since November 2010. In January 2014, its website has around 37 million monthly visits. Now, "Qunar travel" application has 200 million downloads. During the application of Insurance Brokers certificate, ZCT received great support from Qianhai, which enabled ZCT to receive its Insurance Brokers certificate in three months, and it usually takes more than half years in other cities in China. After registering in Qianhai, ZCT has received great support from Qianhai in terms of taxes, facilities and so on, which enabled ZCT grow rapidly, the employees have increased from 3 in the beginning to current 65. As a finance company, there are great opportunities in Qianhai to meet different corporate partners to boost our business, and the increasing trend will be kept in the future. 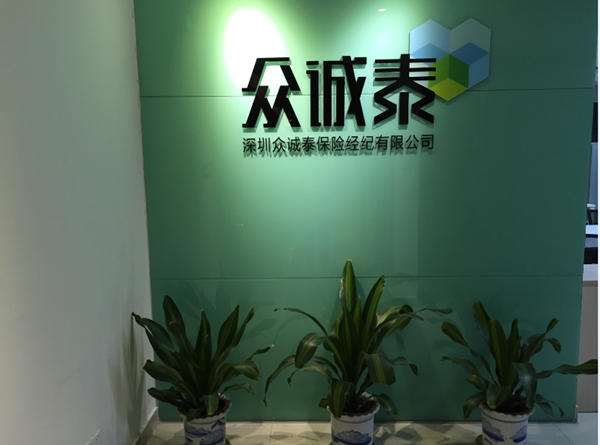 ZCT Insurance Brokers will continue the investment in Qianhai as we believe we will achieve better progress in our business with the best support and huge potential opportunites in Qianhai. Gionee Communication Equipment Co. Ltd was founded on September 2002 and is now the world's top 10 mobile manufacturer. It is a high tech enterprise that focuses on the R&D, production and sales of cellular mobile devices. Our management team advocates for a scientific and standardized enterprise management mode, with a strong sense of innovation. The constant pursuit for professionalism and innovation is the foundation of sustainable development at Gionee. R&D Centers are set up in Shenzhen, Shanghai, Hangzhou and other places. In 2006, the first phase of the project had a total investment of more than 1 Billion RMB and covers an area of 500 acres of the Gionee Industrial Park. Production reached a capacity of 40 million units per year. Once the entire industrial park is completed and put into production, production capacity will reach 80 million units per year, making Gionee China's largest mobile phone production site. Gionee has 41 provincial general sales agents and 40 provincial service centers with over 500 franchised outlets. In 2011, Gionee has an overall market share of 7.2%, and GSM market share of 11.2%. This puts Gionee in third place of the overall cellular market and first place in terms of its domestic market. Since 2011, the Gionee brand moved rapidly to expand its presence into India, Nigeria, Vietnam, Taiwan, Myanmar, Thailand, Philippines, and so on. Gionee products are currently available in over 40 countries, with exports reaching 1 million phones per month for oversea markets. "To make complicated mobile technology user Friendly and unique to consumers"
Gionee believes that products should be as unique as the people who use them. We define ourselves as a global provider of mobile and internet technology that is user friendly, stylish, and wallet friendly. In short, a brand that makes their life better. Incorporated in Hong Kong in 1918, The Bank of East Asia, Limited ("BEA") is dedicated to providing comprehensive commercial banking, personal banking, wealth management, and investment services to its diverse customers in Hong Kong, Mainland China, and other major markets around the world. BEA is the largest independent local bank in Hong Kong. It is listed on The Stock Exchange of Hong Kong and is one of the constituent stocks of the Hang Seng Index. BEA has operated continuously in China since the establishment of its first Mainland branch in Shanghai in 1920. Leveraging its deep knowledge of China market as well as its banking expertise in Hong Kong and overseas, the Bank's presence on the Mainland has grown steadily over the past 30 years of economic reform. Today, BEA prides itself on delivering quality products and services tailored to the needs of customers throughout Greater China and other markets around the world. In early 2007, BEA furthered its commitment to China by establishing a wholly-owned, locally-incorporated banking subsidiary, The Bank of East Asia (China) Limited ("BEA China"). Headquartered in Shanghai, BEA China operates one of the most extensive branch networks of any foreign bank on the Mainland. Its 127 outlets include its headquarters, 28 branches and 98 sub-branches across 41 cities nationwide. In July 2012, BEA signed a letter of intent with the Authority of Qianhai Shenzhen-Hong Kong Modern Service Industry Cooperation Zone of Shenzhen to participate in the development of the Qianhai Cooperation Zone. Qianhai marks a new chapter in China’s opening, aiming to combine the energy of Shenzhen’s economic miracle with the competitiveness of Hong Kong’s service industry. Through a series of pilot reforms, Qianhai will become a hub for modern services by facilitating innovation and pioneering financial and industrial reforms. In order to support this important reform, BEA is committed to providing companies registered in Qianhai with a full range of financial services. In January 2013, BEA proudly became one of the first banks to provide cross-border lending to an enterprise in Qianhai. BEA China next signed strategic agreements with Qianhai’s Equity Trading Centre and Qianhai Financial Assets Exchange, becoming in June 2013 the first among other foreign banks to gain a fund distribution qualification. Cementing its first mover advantage, BEA China opened its Shenzhen Qianhai Sub-branch in July 2013, the first newly established foreign banking outlet in Qianhai with the prime focus to serve customers in the Qianhai Cooperation Zone. In the long term, BEA believes there is a valuable opportunity to contribute to Qianhai’s development with innovative solutions to domestic and foreign currency transactions, onshore and offshore lending, cross-border lending and settlement. Through these services, BEA hopes to help progress Renminbi internationalisation, add to the competitiveness of Chinese industry and contribute to China’s long term, sustainable economic development. Taking pride in over three decades of solid experience and unparalleled expertise in investment consultation, Emperor Financial Services Group (EFSG) enjoys a strong presence in Hong Kong and a trustworthy reputation thanks in no small part to its robust foundation, extensive network and professional service teams. EFSG specialises in precious metals and forex trading services on diverse platforms including traditional telephone trading as well as the technology-driven 24-hour online and smartphone trading channels. 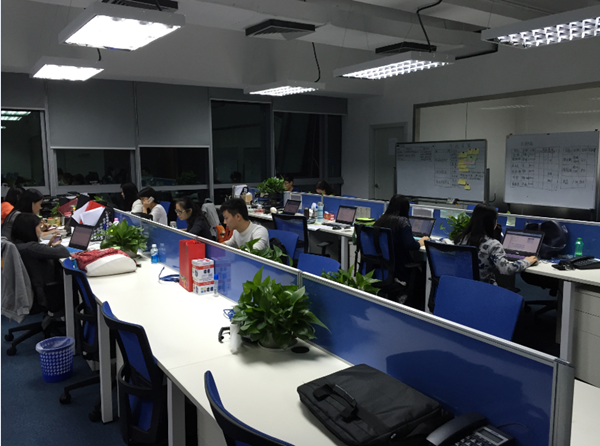 The success of EFSG gains new impetus with its continued expansion into mainland China. As the mainland arm of EFSG operating investment consultation centres in Shanghai, Chongqing, and Guangzhou. Powered by the same dedication to service excellence built round the proven experience in Hong Kong, EFSG goes from strength to strength under the guiding principles of prudent investment and sustainable development, with a view to becoming a national leader in precious metals trading. These efforts have taken tangible shape in the Emperor Precious Metals (Guangdong) Limited, a member of Guangdong Precious Metals Exchange (membership no. : 328) to offer traditional and online trading of spot precious metals. Determined to continue its winning streak in China where substantial growth is heavily tipped in view of the financial reform following the pilot projects to develop Qianhai into a ‘bridgehead of the innovative cooperation between the Mainland and Hong Kong’ through more relaxed RMB to HKD trading, EFSG has plans to invest in Qianhai as part of its strategy to play a bigger role in cross-border RMB business. Capitalising on the proximity to Hong Kong, the region’s most vibrant and established business environment, the Beijing-anointed pilot zone will be positioned as a modern services centre within the partnership framework between Guangdong and Hong Kong. The city of Shenzhen, where Qianhai is based, helps gather the necessary momentum. An active region in the Pearl River Delta and mainland China on economic front, Shenzhen boasts the highest totals among China’s major cities in areas such as GDP per capita and foreign export volume. Its robust industrial base provides a superior foundation for the operations of any global business looking to tap new opportunities in China. One of the priorities for the development of Qianhai is to implement pilot schemes in financial reform, exploring channels for the repatriation of RMB capital and building itself into an innovative hub for cross-border RMB business. Under the institutional framework, the relevant preferential policies are being implemented progressively to encourage investments into this testing ground for a fully convertible RMB to create a healthy financial ecology. Looking ahead, on-the-ground experience gained in Qianhai will be conductive to the full-scale internationalisation of the Chinese currency, whose first fruits EFSG is prepared to pluck. In December 2012, Xi Jinping, made his first inspection tour in Qianhai, Shenzhen as the newly-elected general secretary of the Communist Party of China (CPC) Central Committee. One month later, Mochtar Riady, the Chairman of Lippo Group, also visited Qianhai and indicated Lippo Group’s interest to invest in Qinahai. 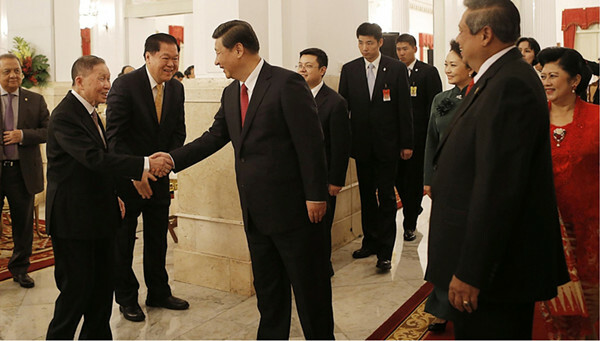 Later in October of 2013, Xi took a diplomatic trip to Indonesia and was received warmly by Riady. Xi, during a speech made to the Indonesian Parliament, proposed to build a new "Maritime Silk Road", aiming to enhance maritime partnerships with China’s Southeast Asian neighbors. Looking forward to being involved in this grand picture, Riady was inspired by Xi’s vision and has been keen on searching for an appropriate way to become involved in the building of this Maritime Silk Road, which also meant integrating resources in the Southeast Asian markets which the Lippo Group has traditionally ben quite active in. Lippo Group is the largest investment holding enterprise in Indonesia with a total asset of more than US$ 20 billion, consisting of 26 listed companies across Southeast Asian stock markets. Lippo owns and operates a diversified business portfolio, such as commercial bank, insurance, real estate, retail, manufacturing, information technology, infrastructure, media, healthcare and entertainment. Lippo Group’s operations are strategically located in Indonesia, Singapore, Hong Kong, Malaysia, U.S., Canada,Australia and China. As the hub on the ancient maritime route in Ming Dynasty, Indonesia is located in the key position in Southeast Asia. Lippo Group, as one of the most influential overseas Chinese conglomerates in the region, thrives to explore new drivers to further build upon its solid foundation and enhance socio and economic exchanges across Southeast Asia. Shenzhen is China's first special economic zones, serving as the testing ground for reform for more than 3 decades, which allowed a market economy to develop. The Qianhai Shenzhen-Hong Kong Modern Service Industry Cooperation Zone inherits this spirit and is authorized for innovation of numerous financial and tax reform policies. 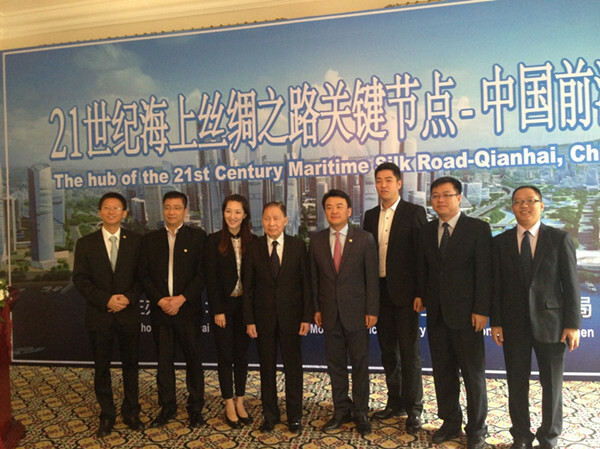 In order to introduce Qianhai as a global economic zone, the Qianhai Authority visited Indonesia in September 2014. The Authority positions Qianhai as the starting point of the “Maritime Silk Road”, which will serve as the essential gateway for Southeast Asian firms looking to enter the Chinese market. In addition, Qianhai will also serve as the base of exchange where Chinese firms, following the “Go-Out Policy”, do business in Southeast Asia. Lippo Group received the Qianhai officials and co-sponsored the promotional event in Jakarta, inviting more than 40 of the largest Indonesian firms, listed companies and financial institutions. Lippo Group recognizes the determination of the Qianhai Authority and the potential of Qianhai to become a future hub in global finance. Considering that the Group itself possesses the quality and the necessary resources, Lippo is looking for the possibility to help achieve this vision, building Qianhai as the hub of business and financial exchange and connectivity of business between China and Southeast Asian countries. Cooperating with the Tsinghua Holdings, the Group is establishing an RMB-10-billion private equity fund and has already registered the fund management firm in Qianhai. In the near future, Lippo would call for efforts to build the inter-change mechanisms of capital, goods and information, aiming to help realize the Asia-Pacific dream proposed by Xi on 2014 Asia-Pacific Economic Cooperation (APEC) meeting. 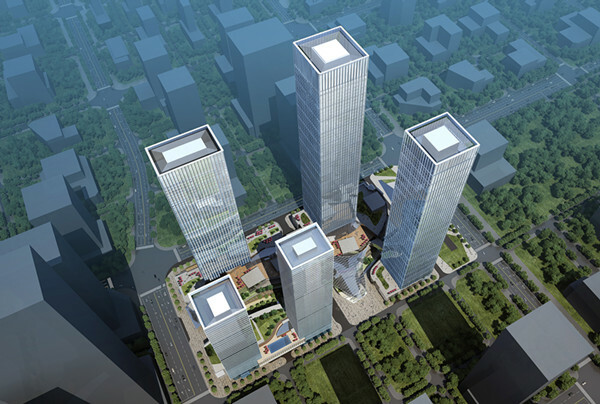 Located in Qianhai Shenzhen-Hong Kong Modern Service Industry Cooperation Zone of Shenzhen (SZQH), Guiwan Commercial Center is planned to be a world-class financial center with innovation, vitality and great opportunities. City Center in Guiwan is reaching Guiwan 4th Rd. on the north, Menghai Ave. on the east, and Tinghai Ave. on the west. With 61,800 square meter and 20 billions of investment, City Center will cover the building area of 503,000 square meter. 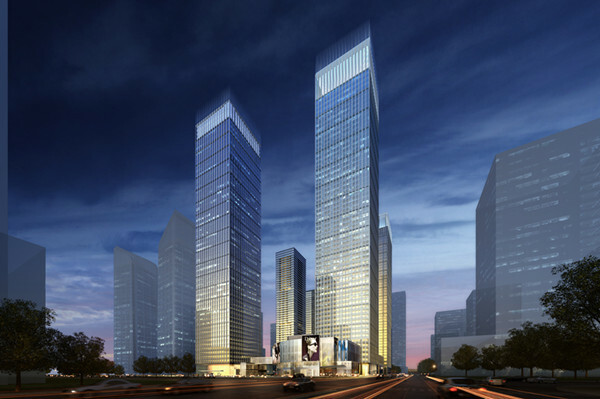 As the first financial complex by China Resource, City Center will follow the path of development of world-class financial center.As the upcoming city landmark, City Center has four sections: CR Financial Building, the first buildings applying the exclusive operation office brand by China Resources; Mixc Essence, a social and living place for urban elites; Park View Avenue, a customized private apartment; and a commercial and social hotel. It will become an example of financial complex integrating commercial business, aesthetics of life, social leisure, art gallery, and trend-setting fashion. The convenient transportation of City Center is in a competitive condition. It locates at the heart of Qianhai financial district as well as the starting point of Qianhai Financial Valley, joining the magnificence in coastal leisure zone, water gallery, and business and art center.Within one hour of the Pearl River Delta and half-an-hour’s distance of Hong Kong, Qianhai is near both the airports in Shenzhen and Hong Kong. Qianhai connects to subway lines 1, 5, and 11 and six railway lines. Based on the idea of“Man rules all design”, City Center cooperates with top architectural designers in the world. It fulfills the urban needs of international financial elites with infusing new energy into the city. Collaborating CR’s strength in other industries, City Center will create a fascinating and joyful life.